2016 is shaping up to be a fairly solid year in the world of video games, though the perhaps most unexpected success story to me is that of Hitman, Square Enix and IO Interactive’s initially rocky-looking venture into a service-style ‘live’ game. After a release plan that involved a lot of to-ing and fro-ing between various release models, the game seemed to stumble out of the gates back in March. It’d been a rough journey there, but then that first release – a small episodic package featuring tutorials and a first large sandbox mission set in Paris – turned out to be something special. Back on launch day I said its release was a mess but also pegged it potentially as a series best, and after March things only got better. In April the second Episode delivered a new environment that feels like one of the finest-crafted levels in the series, and May saw a level of impressive scale set in the middle of a riot. That’s part of what this article is about: Hitman’s about to hit the ‘middle’ of its first season, its initially planned spread of content that players get their hands on when they purchase ‘The Full Experience’, the version of Hitman that’ll cost you the same as a regular full release, with you essentially paying for all six of the game’s major sandbox levels up front even though they’re not all yet released. Before the game heads into its final three missions, which are set in Thailand, the USA and Japan, the game is taking something of a detour. I’ve become a bit of a fan, and so a couple of weeks ago at E3 in some spare time I ducked in to see what exactly is up next for the episodic release, getting a guided tour from IO Interactive’s Torben Ellert of what’s to feature in what the company is referring to as its “Summer Bonus Episode”. These episodes aren’t really something that’s part of the main package you’ve paid for, but anybody who has access to the complete Hitman experience will get their hands on it. It comes in the form of two new missions taking place in old locations – but with a twist. What’s explained to me throughout our sit-down is how the tools have evolved around Hitman to allow the game to be changed in subtle and not-so-subtle ways relatively easily. This is best exemplified in Elusive Targets, the compelling one-try-only assassination missions the game uploads for a limited time. A constant server connection is required for these missions and players only get one shot at taking down a new target in a familiar level. You might know the layout from playing the story mission or other challenges there, but item and NPC locations and the all-important guard routes might have been adjusted. You have to think on your feet, and completing such a mission, leave alone getting a high rank, is actually quite difficult. If you fail – and on one, I have – the target is gone forever. You never get a second chance. The tools used to create Elusive Targets and other subtly-changed server-side level variations such as Escalations go a little deeper, and IO has realised that quite a bit more can be done with the systems they’ve built. 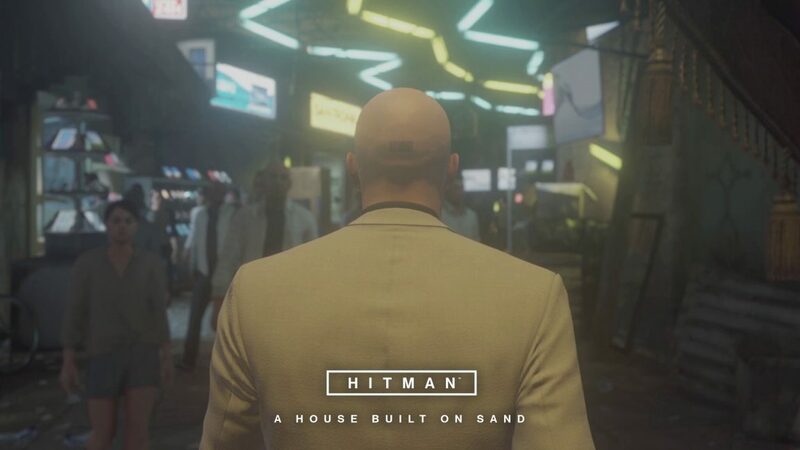 That’s the summer bonus episode: Agent 47 returns to Sapienza and Marrakesh, the locations of Episodes 2 and 3, but to drastically changed versions. The concept behind each level, I’m told, is to reverse the core concept of the original maps. Sapienza is the level I earlier pegged as one of Hitman’s best-ever, and it’s a level that’s more about the place than anything else – a slice of a coastal Italian town and a huge heavily-defended private villa. The level is about place more than anything, so the summer bonus turns this on its head and makes the level about an event. Sapienza has been turned into a film set with significantly different geometry. It’s the set of an alien invasion in an over-budget science fiction epic that’s about to tank its studio, and the studio has hired 47 to off the director and star of the movie who insist on running its catastrophic budget even higher. Turning a coastal Italian town into an alien apocalypse means it’s very different indeed and there’s huge props that form alien ships and the like, and new, ludicrous costumes available from the film. IO play the demonstration I get close to their chest. It’s a video, not live, and cuts around to avoid spoilers, something I’m thankful of. The level is vaguely recognizable in its overall layout as regular Sapienza, but also has the feel of a completely different demo. Because this level is divorced from the main storyline, IO allows themselves to go a little more ludicrous in terms of the assassinations, costumes, weapons and so on. There’s a bobblehead of the target in character that doubles as a proximity explosive, and snooping around reveals the actor/director insisted on hugely realistic costumes, so his space marine suit is bulletproof. 47 also learns he insists on doing his own stunts, and it’s in arranging a little ‘accident’ here that the assassination is pulled off. Episode 3’s Marrakesh is the inverse of Sapienza. It’s a huge level, but is defined more by an event, political riots taking place outside an embassy. The team do as they did so Sapienza and invert it. They make this event-focused level more about the place, depicting it on a cool summer evening without any of the riots or nastiness, providing two targets for 47 to take down. This level is less immediately astonishing than the first, but still seems to be an incredibly smart use of existing assets. There’s no other way to put it: both levels look stupidly cool. I don’t get to explore either myself, but it’s surprising just how different each appears to be to their original difference. Changing the focus of the level, the time of day and moving everything about makes for quite a stark difference. 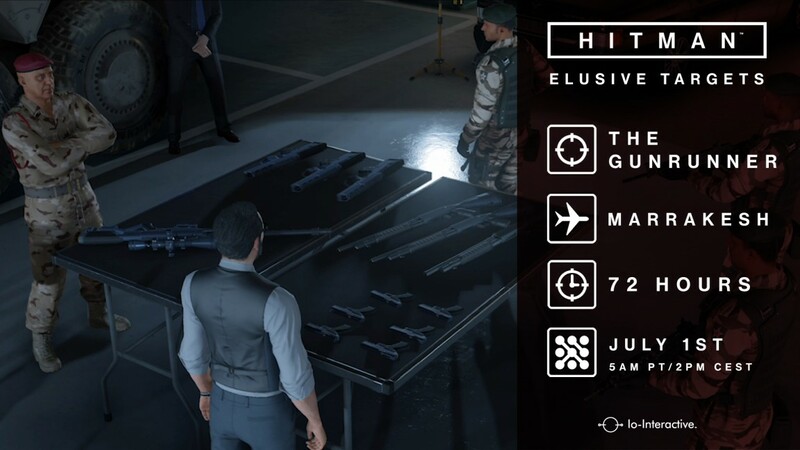 As well as being new missions outright, the new permutations of these levels could potentially be used for challenges such as Elusive Targets or Escalations – so they add more potential value to the concept of Hitman as a ‘live’, evolving game. 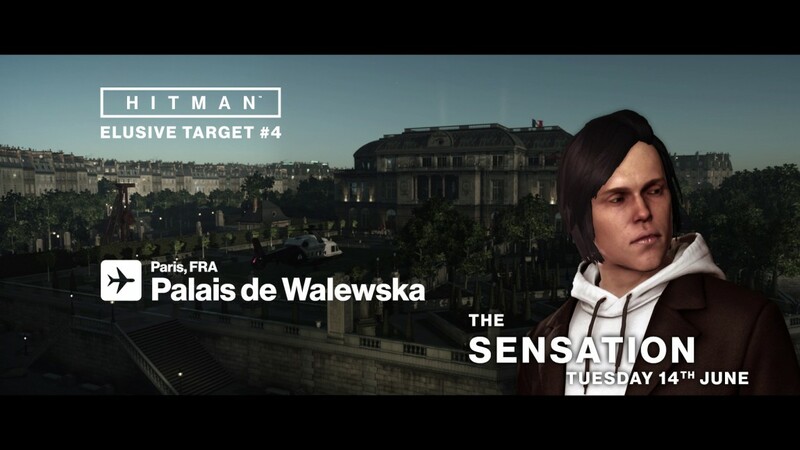 Both of these new missions will arrive on the July, and in the meantime there’ll continue to be new Elusive Targets and Escalations delivered to players on existing levels. My main take-away from Hitman at this, its halfway point, is that IO’s concept is working. It may have been a meandering and sometimes lurching journey to find this tempo, but they’re now comfortable and nailing it. Every Elusive Target is exciting, every new level so far broad and varied, not just a great one-shot mission but a thoughtful sandbox for further expansion. 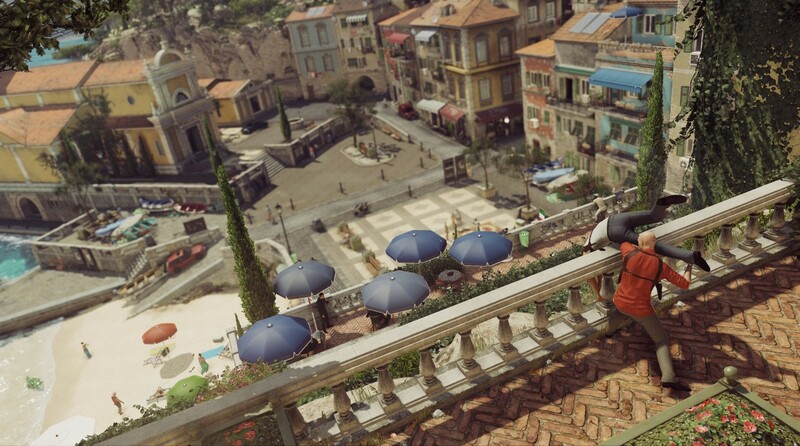 Hitman isn’t just an episodic game, though its levels are released in that fashion. It’s one of the first single-player console experiences to embrace and get right the event-based live structure that makes so many mobile-based games a success. It continues to delight and remains my biggest surprise of 2016. And I’m looking forward to getting stuck into the summer bonus and its final three episodes as they launch. We might check in again, once the game is ‘complete’, but for now consider the advice I gave more cautiously back in March more concrete: this game is worth your time. Hitman is out now on PC, Xbox One and PS4.